Let me introduce you to Eton, he's a true blood, the real thing. 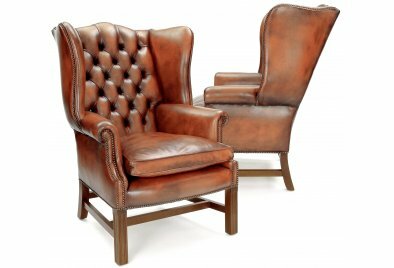 As far as classic Leather Wing Chairs go this chap really is it, the definitive leather reading chair with a family history that even the royals would approve of. 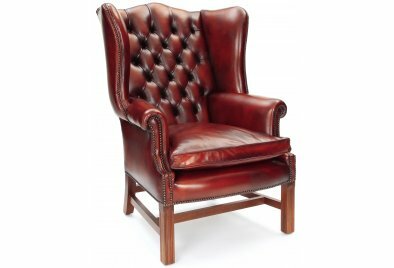 Eton's a true pedigree leather Chippendale Georgian wing chair with devilishly handsome walnut stained, hand polished wooden legs. His elegantly scrolled arms and fine wings are both gloriously hand-studded and he's upholstered in our fine Original Leather, hand coloured and polished to give depth and maturity. For other Leather Armchairs wearing our gorgeous Original Leather, please click here!